As a cable overbuilder, and the 6th largest MSO in the country, we operate our own, local network designed and managed by MEF-certified engineers, which allows us to quickly support your business from all aspects without reliance on a competitor's network. Whether it's using our own field techs for installations, or talking to your single-point-of-contact service delivery coordinator, WOW! delivers exceptional customer service regardless of company size. WOW! solutions are designed to scale for your customers' needs and hardware changes with pricing that is simple, transparent and competitive. 1	jplist-folder-All-Posts-355 jplist-folder-Agent-Resources-16368 jplist-folder-All-Posts-355 In-Person-Event-In-Person-Event	jplist-topic-Event jplist-topic-Happy-Hour jplist-topic-Wow--Business	-Charter-Twp-of-Clinton	03/09/2016 0	03/01/2016 14:46:03	Register below to join us for cocktails and appetizers while networking! Meet and chat with representatives from WOW Business and Telegration!Register! 2	jplist-folder-All-Posts-355 jplist-folder-Customer-Promotions-16371 jplist-folder-All-Posts-355 Promotion-Promotion	jplist-topic-telecommunications	0	12/15/2015 16:10:03	Enjoy big savings on WOW! Business' most popular Cable TV, Internet and Voice package. Get our lowest monthly rate on Commercial Basic Cable, 30Mbps Internet and two basic phone lines. Not only do you get the solution you need to take care of your customers, you get the benefit of local sales and support teams that are dedicated to delivering industry-leading customer service. 3	jplist-folder-All-Posts-355 jplist-folder-Customer-Promotions-16371 jplist-folder-All-Posts-355 Promotion-Promotion	jplist-topic-telecommunications	0	12/15/2015 16:04:03	Enjoy big savings on WOW! Business' most popular Cable TV, Internet and Voice package. Get our lowest monthly rate on Basic Cable, 30Mbps Internet and two basic phone lines. Not only do you get the solution you need to take care of your customers, you get the benefit of local sales and support teams that are dedicated to delivering industry-leading customer service. 4	jplist-folder-All-Posts-355 jplist-folder-Customer-Promotions-16371 jplist-folder-All-Posts-355 Promotion-Promotion	jplist-topic-telecommunications	0	12/15/2015 16:02:03	Enjoy big savings on WOW! Business' most popular Cable TV, Internet and Voice package. Get our lowest monthly rate on Basic Cable, 30Mbps Internet and two basic phone lines. Not only do you get the solution you need to take care of your customers, you get the benefit of local sales and support teams that are dedicated to delivering industry-leading customer service. 5	jplist-folder-All-Posts-355 jplist-folder-Customer-Promotions-16371 jplist-folder-All-Posts-355 Promotion-Promotion	jplist-topic-telecommunications	0	12/15/2015 16:00:03	Enjoy big savings on WOW! Business' most popular Cable TV, Internet and Voice package. Get our lowest monthly rate on Prime Cable, 30Mbps Internet and two basic phone lines. Not only do you get the solution you need to take care of your customers, you get the benefit of local sales and support teams that are dedicated to delivering industry-leading customer service. 6	jplist-folder-All-Posts-355 jplist-folder-Customer-Promotions-16371 jplist-folder-All-Posts-355 Promotion-Promotion	jplist-topic-telecommunications	0	12/15/2015 15:59:03	Enjoy big savings on WOW! Business' most popular Cable TV, Internet and Voice package. Get our lowest monthly rate on Prime Cable, 30Mbps Internet and two basic phone lines. Not only do you get the solution you need to take care of your customers, you get the benefit of local sales and support teams that are dedicated to delivering industry-leading customer service. 7	jplist-folder-All-Posts-355 jplist-folder-Customer-Promotions-16371 jplist-folder-All-Posts-355 Promotion-Promotion	jplist-topic-telecommunications	0	12/15/2015 15:55:03	Enjoy big savings on WOW! Business' most popular Cable TV, Internet and Voice package. Get our lowest monthly rate on Prime Cable, 30Mbps Internet and two basic phone lines. Not only do you get the solution you need to take care of your customers, you get the benefit of local sales and support teams that are dedicated to delivering industry-leading customer service. 8	jplist-folder-All-Posts-355 jplist-folder-Agent-Spiffs-16369 jplist-folder-All-Posts-355 Promotion-Promotion	jplist-topic-telecommunications	0	08/31/2015 18:56:04	WOW! 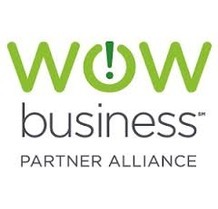 Business is offering our Partner Alliance sub agents up to 3x theMonthly Recurring Charges (MRC) payout on qualifying sales in addition toregular commissions starting September 1, 2015.Bring us your Coax, Fiber, and Cloud sales and WOW! Business will pay youup to 3x the upfront spiff. 9	jplist-folder-All-Posts-355 jplist-folder-All-Posts-355 Promotion-Promotion	jplist-topic-telecommunications	0	08/19/2015 13:03:03	With the WOW! Business 10 & 110 Package your business can easily and affordably advance into low-maintenance, fully-featured voice services that give you the performance of a cutting-edge phone system but without the heavy investment or ongoing maintenance requirements. You get everything you need to activate your VoIP-ready business in one simple, low monthly price: equipment, Internet, Hosted VoIP service – even the handsets. And you can add more phone lines as your business needs change, so you never have to worry about outgrowing your high-speed, future proof service, all while saving more than 35% off of regular prices. 10	jplist-folder-All-Posts-355 jplist-folder-All-Posts-355 Promotion-Promotion	jplist-topic-telecommunications	0	08/19/2015 13:00:03	With the WOW! Business 5 & 60 Package your business can easily and affordably advance into low-maintenance, fully-featured voice services that give you the performance of a cutting-edge phone system but without the heavy investment or ongoing maintenance requirements. You get everything you need to activate your VoIP-ready business in one simple, low monthly price: equipment, Internet, Hosted VoIP service – even the handsets. And you can add more phone lines as your business needs change, so you never have to worry about outgrowing your high-speed, future proof service, all while saving more than 35% off of regular prices.